Gillian Moxom is a Reiki Master: Teacher and Healing Practitioner. Gill is available for Reiki Master Healing Appointments in her Reiki Melbourne rooms in Ivanhoe. She became aligned as a Reiki Master: Teacher and Healing Practitioner in 1996. Soon after she established The Healing House and has been a Full- Time Reiki Practitioner and Teacher since then. Gill is a Reiki specialist. She brings sensitivity, care and understanding along with a wealth of experience to Reiki. 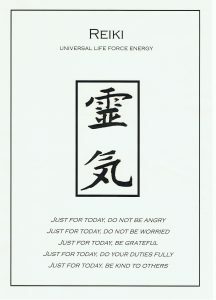 Energy Healings with Reiki offer the flow of Universal Life-force energy which supports your innate ability to heal. It can have a profound and positive influence on your general health. Reiki offers harmonizing & healing for your emotional, mental, physical, & spiritual well being. Receiving a Master Healings with Gill can create awareness for physical healing along with personal and spiritual growth. Master Healings support emotional and mental peace, stability and healing. These healings ease tension and create a sense of peace and well-being. They promote positive personal growth. Reiki can take you to a new level of personal wholeness, balance, harmony and spiritual growth. 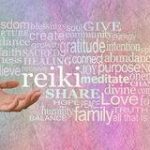 If you are unable to come along for a personal appointment with Gill at The Healing House in Geelong or Reiki Melbourne in Ivanhoe, she can arrange a Distance Reiki Master Healing for you. Distance Reiki Healings are powerful and effective healings. You can receive Distance Healing as a pure energetic experience or with written feedback. Distance Healing with written feedback have proven to offer support for more clarity and understanding of life at a deeper, spiritual level. Call Gill for more information about Reiki Master Distance Healings. 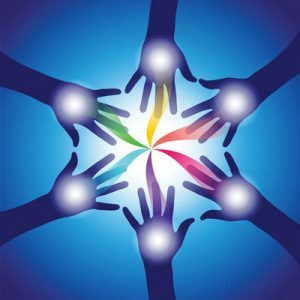 Why connect with Reiki at The Healing House? Gill brings a wealth of knowledge and experience to Reiki. She has been a Full Time Reiki Healing Practitioner and Reiki Teacher for over 20 years and specializes in Reiki. She is a member of with the Australian Reiki Connection – Australia’s leading Reiki association and is a member of the Association of Australian Reiki Professionals. She has studied counselling with The Cairnmillar Institute. Gill is actively involved with an Wholistic approach to her own life. She has Meditation as a part of her daily life, pursues her physical health and well-being. Gill consciously seeks opportunities to expand her Knowledge, Wisdom and Personal Healing, with Reiki as the key. All Reiki Workshops with Reiki Melbourne are held at The Healing House in Geelong. Because of her own experience of learning Reiki in a large group, Gill limits her Reiki Workshops to nine participants. All participants receive personal attention and guidance as well as supervised healing practice and healing experiences throughout the Workshop. At Reiki Workshops with Gill will learn about Reiki and how to offer healing to others as well as self healing. Gill’s small and personalized Reiki Workshops will support you as you learn about Reiki and integrate this wonderful healing energy. Bonus: At the conclusion of Gill’s Reiki One and Reiki Two Workshops, all participants receive a Voucher for a One Hour Personal Appointment with Gill. At this appointment you will have the opportunity to receive a Reiki Master Healing. The Personal Appointment also gives you the opportunity to ask Gill any questions that may have after the completion of the Workshop. The Personal Appointment can be at Reiki Melbourne in Ivanhoe or in Geelong at The Healing House. 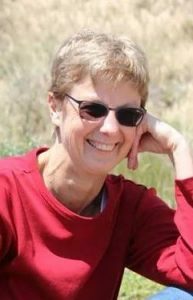 Gill has over 40years experience with personal development training in the private and corporate sector and over 20years of dedication to Reiki and her Reiki practice. Gill explains all aspects of Reiki with a down to earth and practical approach that is easy to understand and easy to bring into daily life. She brings clarity, patience, gentleness, calmness, compassion and understanding to Reiki. It is wonderful to have Reiki in your life. Reiki offers a unique opportunity for personal healing, along with the ability to offer healing to others. Reiki brings our internal energy field, physical energetic self and external energy field into balance. It brings us back to our natural state of harmony. How to get Started with Reiki at The Healing House? Alicia O’B 23 years old Singing Teacher, Actor & Reiki Master: Healing Practitioner The Healing House is my beautiful, heartfelt sanctuary of connection and healing. The most wonderful and supportive community to surround yourself with. It has been, and continues to be an absolute blessing to travel on my Reiki healing journey with Gill.